This is Meghan’s second term as VP Belfast, having graduated with a BA in Fine Art in 2017. Whilst still a student Meghan was a course rep throughout her studies, and learnt more about her passion for art through her part time work as a gallery assistant. All of these experiences have been put to good use as she now represents all students on the Belfast campus and is an active member of the steering group for the UNIQUE Art Shop on campus. 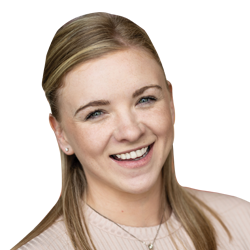 Meghan has already overseen developments to the limited SU space on level 5 and will continue to work with University management to ensure Belfast students have the best social spaces possible within the existing space. She is also working with SU staff and local partners to have more vibrancy and opportunities for students within the local community. 3. Provide regular updates to students in relation to the Jordanstown -> Belfast move, and possible impact.